Well that's the first month of 2011 under our belt, hopefully this months credit card statement wasn't too much of a shock for you. Someone managed to clone my card so mine was a bit of a shocker, but that's another story, for another day. Back in the world of UK Passats, January saw a 36% increase in the traffic on the forum, which equates to over 6.5 million hits. You are all part of one of the biggest and fastest growing car forums on the web. Without each and everyone of you the site would just be a dead space. So a big thanks to you all. There are a couple of area meets happening this Sunday, 6th February. The details of which are below. If you want to organise a local meet in your area, simply start a thread and I will ensure you have a plug in the newsletter. I have found that if you first set a date, time and location it works best. If you leave it out there for the general vote it seems to go dead. The build threads are starting to come along, so after skipping a January Car Of The Month, there should be plenty of nominations for February Car Of The Month. For now I will bid you farewell, hopefully next month I will have received my lowrider (Boo Boo) frame back from the artist, who is currently transforming it into something beautiful. 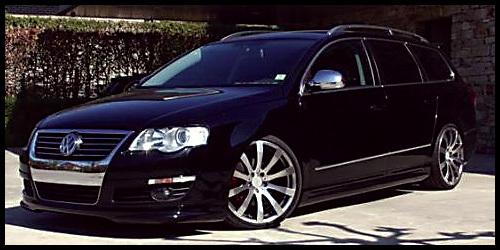 I know it's not a Passat but it is going to be my cars partner in crime at the shows & meets in 2011. I can't wait! Not only for the bike but also the start of the show season. All of the nominated cars will then be put forward to a vote by you guys, the car that receives the most votes will be crowned COTM. You can nominate your own car too, so don't be shy, as Dr Pepper says - What's the worst that can happen? Skytag are the fastest growing stolen vehicle recovery company in the UK, providing state of the art location equipment to recover you property quickly and easily. With a 100% recovery record they are proud to offer a service second to none. With unique features like monthly operation checks and direct police access to live online location information. The Skytag locate device is a very small covert unit designed to be hidden in a vehicle, self instillation enhances the covert nature of the product as everyone will put it somewhere different, making it virtually impossible to find, this also reduces costs and makes the unit easily transferable from vehicle to vehicle with no charges. Skytag “Bundle” pack, £249.99 includes device, 3 months subscription, activation and vat. However, if you choose the "Bundle" product, then add the code - ukpassats in checkout, it will drop the price from £249.99 to £99 only. The device is smaller than a computer mouse and contains a GPS chip that can pin-point its location on the planet to within 5 metres. The device also contains a module that communicates this position to us via the GPRS data network. So we know exactly where your vehicle is in the event of a theft. The unit comes with full European cover; this can be extended with additional cost to cover North, Central and Southern Africa, at client’s request. The device has an inbuilt backup battery that lasts 3 days should the vehicle battery be disconnected. It also Alerts us when the battery has been disconnected, we can even tell when the vehicle battery is running low, ensuring continuous operation. “GeoZone” holiday cover available for when you leave your vehicle unattended for long periods of time. 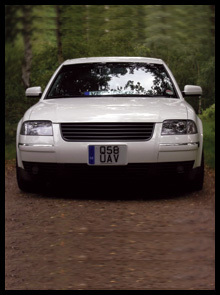 This puts a virtual electronic fence around your vehicle and will alert with any unauthorised movement. We operate a 24 hour 365 day monitoring service, whatever time of day or night, our emergency number will be answered by a real live person in the UK. This person will have direct access to the main tracking system and will be able to liase directly with the Police. This operator will respond when given a valid crime number and will give location information direct to the police to recover the vehicle in the quickest time possible. This 24 hour monitoring also responds to Battery and GeoZone alerts. Readers can take up the offer by giving our sales team a call or using the discount code “ukpassats” in the check out area, after selecting the Bundle pack including 3 months subs. 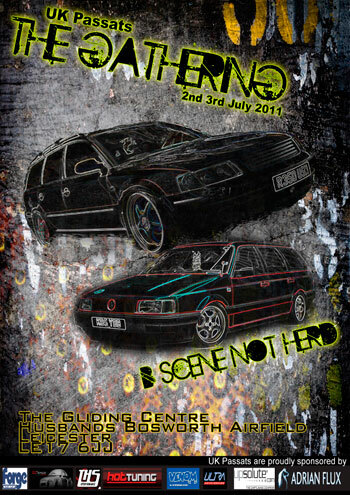 WATCH THIS SPACE FOR FULL SHOW GUIDES/FLYERS AND MORE IN THE RUN UP TO THE SHOW !! ideas/comments welcome to make this as unique as possible ! Both of these meets are happening this Sunday, 6th February.